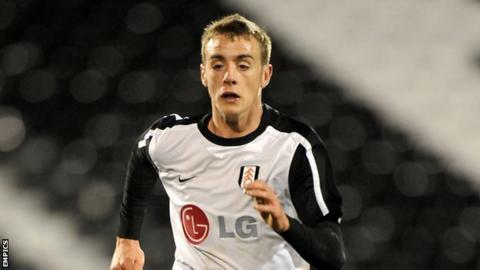 AFC Telford have signed forward Richard Peniket from Premier League Fulham on a one-month loan deal. The 19-year-old had previous spells at Hereford and Kidderminster Harriers, making a combined total of 18 appearances without finding the net. The 6ft 3ins striker came through the youth ranks at Walsall before moving to Craven Cottage in 2011. Peniket, born in Stourbridge, has also represented Wales at under-21 international level. His signing follows the departure of fellow striker Kieron St Aimie, who left the Bucks to move closer to his family.